Listen to Episode 12 of Myelin & Melanin! Join us as we reflect on MS as the most vicious kind of captor, and how it alters life, relationships & identity. In Episode 12, we’ll touch on a few of these issues. In my opinion, hostage is too tame a word. Perhaps prisoner of war is better? 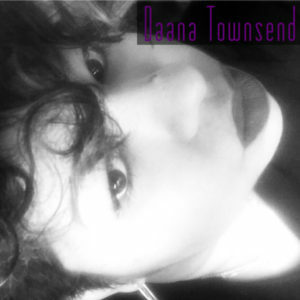 Author Daana TownsendPosted on May 26, 2018 May 26, 2018 Categories Multiple Sclerosis, PodcastLeave a comment on Hostage? Can we be totally honest? Multiple Sclerosis is a layered disease! It’s as if you’re peeling back layers of an onion, only to realize your eyes becoming tearier. Or better yet, you’re walking a tightrope trying to make sure you keep it together because one quick move may have you flat on your face. The fact remains that this is not an easy disease for most. It comes with quite a bit of challenges that can leave a person in a complete tailspin of emotions. MS is an enigma, a darn conundrum, and it is perfectly normal to say I DON’T LIKE what is happening to me. In episode 10, we talked about isolation and what that means when dealing with a debilitating illness. 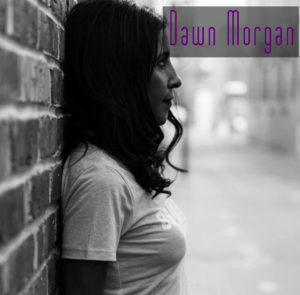 Do you find yourself retreating from friends & family, are you creating walls and self-isolating? I think as you face the disease and your “normal” becomes new, you develop a heightened awareness of most things that used to be part of your life. Are my friends/family excluding me purposely because I may take longer getting places? Am I a burden? Is the time and effort it takes to go worth it? Quite often we have discussed how it never occurred to us that we may face major struggles that could & would lead to fear, anxiety, sadness. Speaking for myself at the moment, denial is a helluva drug (lol), and I was in it deep. I almost had an arrogant attitude, which blocked all of the thoughts about “what could potentially happen.” The fear and uncertainty of what could happen slowly became, wow, this IS happening and I am experiencing this. Fear of what the diagnosis means to you which leads into the article below (The Huffington Post,By Jill Shreve). Take a look and ask yourself if these things resonate with you. When we are given this diagnosis it can be scary and there may be a myriad of emotions along with a huge amount of fear. Ask questions when your uncertainty creeps in and wants to stay. I think being communicative with someone you trust or yourself can help tremendously. One of the best questions to ask during the quiet time you have, is who am I after this MS diagnosis? 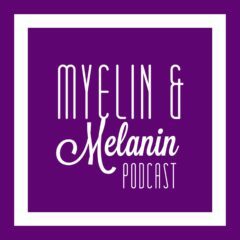 Listen to Episode 11 of Myelin & Melanin! Join us as we tackle the issues of fear and uncertainty — and the roles that they play in the lives of those with MS. What will happen to me in the future? Will I get worse? Will I get married? Will I end up alone? Tune in as we share our experiences surrounding these issues. Feel free to engage with us, and share your comments and questions.